Background: Benign Prostatic Hyperplasia (BPH) has been correlated with chronic prostatitis according recent study. Chronic pelvic pain is the chief complain of BPH followed by prostatitis. The gold standard of the etiological diagnosis is urine culture, but the negativity rate is still high. Multiplex polymerase chain reaction (PCR) as a diagnostic tool in search of etiological causes could identify microorganism on DNA level. This research aims to find out the role of multiplex polymerase chain reaction as diagnostic tools on prostatitis patients. Material and Method: A total of 12 samples collected during the TURP procedure in Sanglah General Hospital Denpasar – Bali from February until May 2015. All of the samples has been diagnosed prostatitis clinically and perform urine culture test. The prostate specimen taken was sent to the Pathological anatomy for histopathology diagnostic and underwent multiplex PCR for etiologic diagnostic. Result: 12 samples have been declared as prostatitis based on histopathology examination, and then were analyzed using multiplex PCR. 10 samples were positive (6 were E. coli, 2 were C. trachomatis, the rest were N. gonorrhea and P. aeruginosa). The urine culture revealed 9 positive, within the result 6 were E. coli, and the others were P. aeruginosa, M. morganii and A. haemolyticus. Conclusion: In prostatitis patient, the etiological diagnostic was important. Multiplex PCR as diagnostic tools could detect the microorganism on a negative urine culture. The combination of the urine culture test and multiplex PCR revealed a better result on etiologic diagnosis which leads to a better management of the disease. ROSADI, Bramastha A; MAHADEWA, Tjokorda G. B.; DUARSA, Gede Wirya K.. The Role of Multiplex Polymerase Chain Reaction in Detecting Etiological Causes of Bacterial Prostatitis Associated Benign Prostatic Hyperplasia. 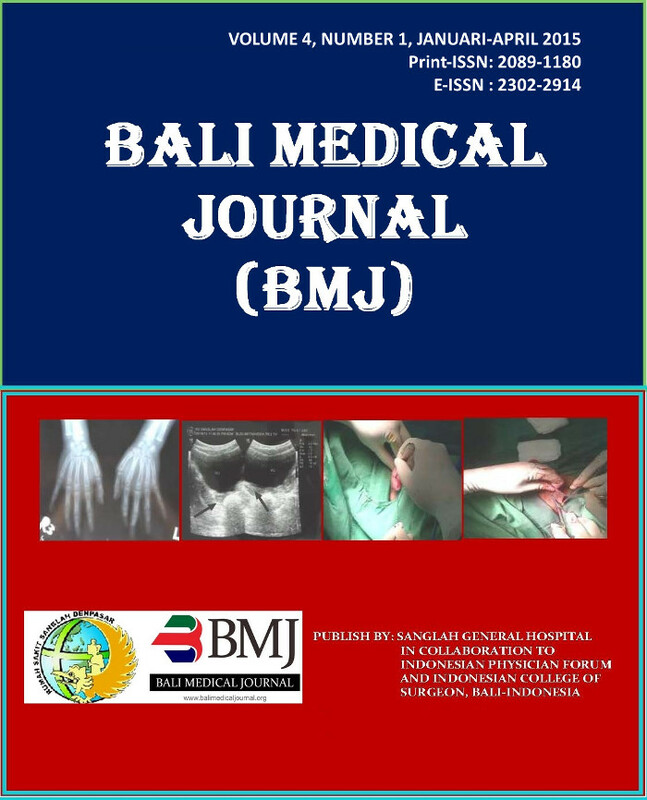 BALI MEDICAL JOURNAL, [S.l. ], v. 4, n. 1, may 2015. ISSN 2302-2914. Available at: <https://ojs.unud.ac.id/index.php/bmj/article/view/21697>. Date accessed: 21 apr. 2019. Please go to www.balimedicaljournal.org for better user experience.